Private pick-up transfer from any hotels located in Cairo or Giza to Cairo International airport. The transfer is by private A/C vehicles. Drivers are knowledgeable of the quickest routes to Cairo International airport. Available 24/7. Private pick-up transfer from your hotel in Cairo or Giza to Cairo international airport available 24/7 at your requested time. You will find your representative in the lobby area of your hotel. The driver will be aware of flight times and will ensure your transfer is on time. 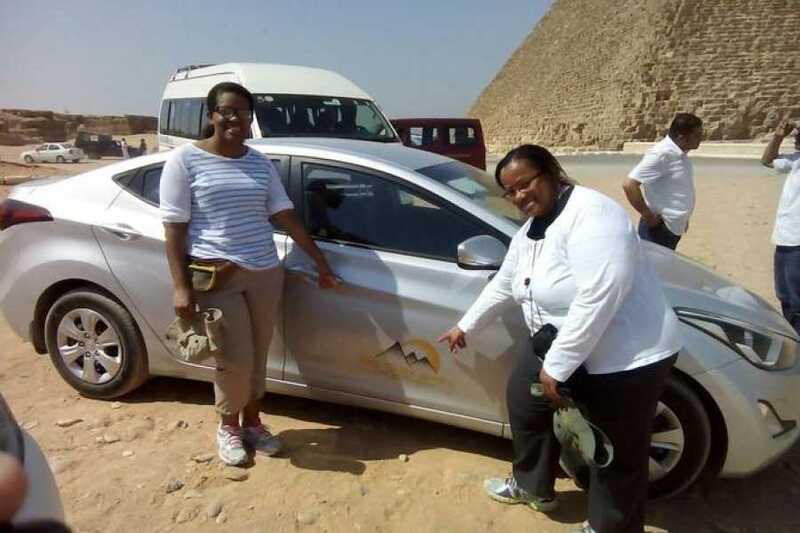 The distance from a hotel in down-town of Cairo to Cairo international airport is approximately 30 to 45 Minutes drive and from a hotel in Giza is approximately 60 to 80 minutes.